Q: How do you clean windows? A: Every window is hand scrubbed and squeegeed to perfection. Q: Do you clean residential windows? Q: What does it cost to clean my windows or to pressure wash my home? 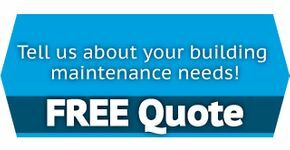 A: We offer free quotations in the HRM. As each job is unique; we provide personal visits to assess your needs. Q: Do you fix, dryer vent covers or other small high projects around the house? A: Yes. We offer our services to complete minor repairs to dryer vents, adjusting soffits that have loosen, changing light bulbs, fixing gutters, etc. These will be evaluated on a case by case basis. Larger projects may be referred to a company which specializes in that area of expertise. Q: Do you offer packages for window cleaning? A: Yes, we can develop a customized window cleaning package, tailored to suit your needs. A: We accept payments made by cheque, Visa, MasterCard, American Express and cash. We always provide a receipt or confirmation for your records. Q: When pressure washing, will you use my water supply? A: Yes. We connect our cold and hot water pressure washer systems to your residential or commercial water outlet. A: We have a $5,000,000 PL/PD insurance. We use environment friendly detergents to hand scrub and squeegee all windows. If fragrance sensitivity is an issue, we provide fragrance free detergents for your comfort.